If you recognize this South Slope storefront as the former location of Laila on Seventh Avenue, it's only because you recognize the location. Everything else about the spot has changed as it morphs into Ten, a new Japanese restaurant. There's no opening date, but judging by the look of things, it will be soon. 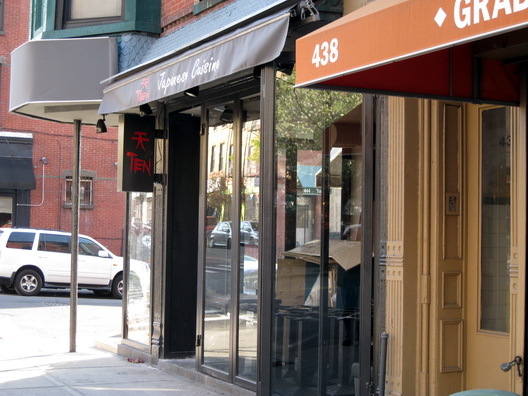 The interior is nice, but looks generically like many other Brooklyn Japanese restaurants.